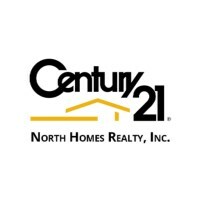 Use CENTURY 21 North Homes Realty, Inc. to help you buy and sell your next home. Search for Puget Sound homes for sale, Find homes for sale in Everett, Seattle, across the Puget Sound. Search for homes from Olympia, to Tacoma, all the way north to Mount Vernon and Bellingham. We take pride in providing you up to date home sale information. To get started, click on our home search tool or create an account to keep track of your favorites and save your search results. Get home sale demographics and statistics using our advanced search engine.